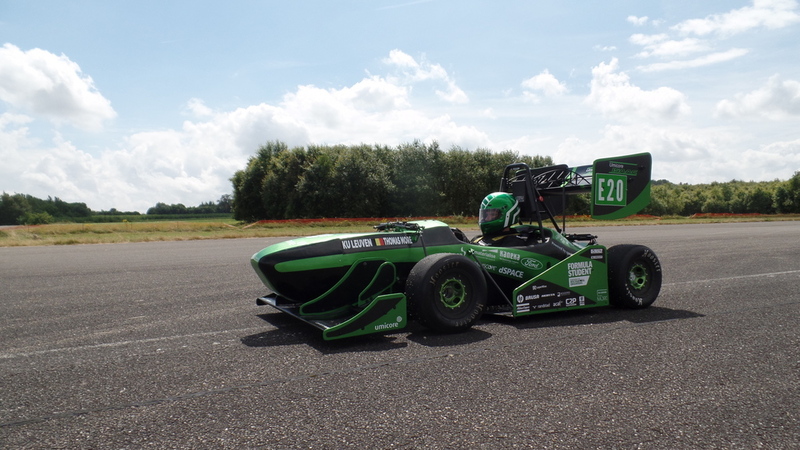 Pulse is the fourth car built by Formula Electric Belgium, the second one using four inwheel motors. 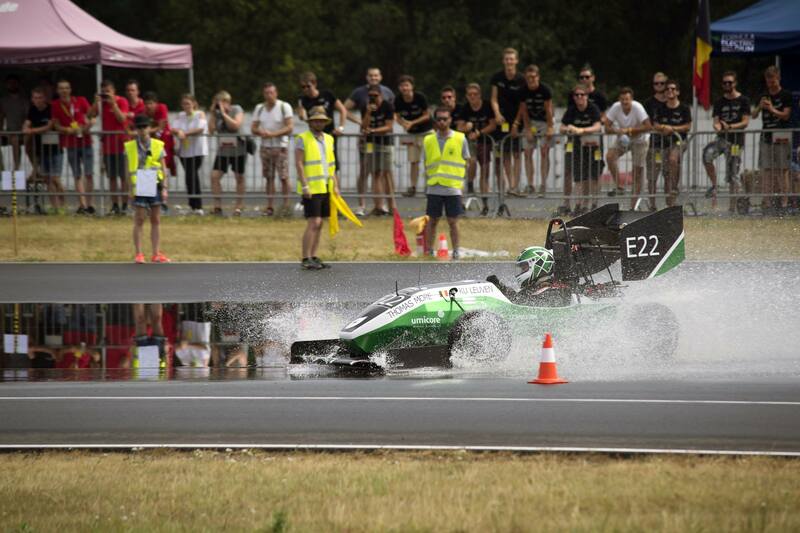 As its brains it has a completely self-built ECU which runs a Real Time Operating System. Umicore Pulse is the first car containing a telemetry system. Combined with a completely revamped cableloom, the result is a lot of data to be analyzed. 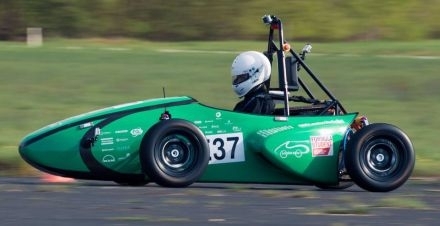 Nova is the third car built by Formula Electric. It is the first four wheel driven car. complete with an in-wheel gearbox surrounded by a 3D printed aluminum cooling jacket. The power comes from a modular battery system containing 9 independent modules. 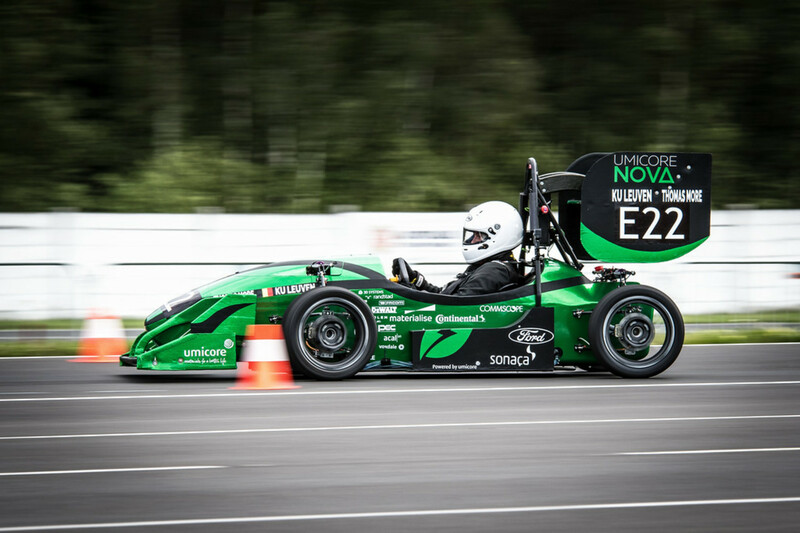 Umicore Isaac is the second car built by Formula Electric. a full aero package, carbon fiber 10 inch rims and a fully adjustable, light weight suspension system. 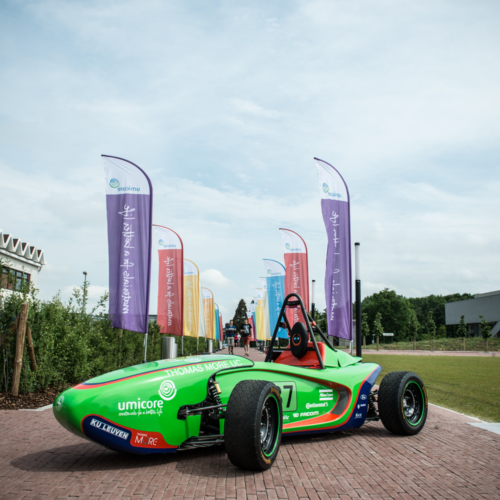 Umicore Luna is the first car ever built by Formula Electric Belgium, the collaboration between Formula Group T and Thomas More Innovation. This combination allowed the newly found team to produce their own electric permanent magnet motors, specifically made to fit their needs. Umicore Luna was also the first car to have an aero package to create more downforce. The team also made the step to self designed carbon fiber 10 inch rims that further lowered the total weight of the car. 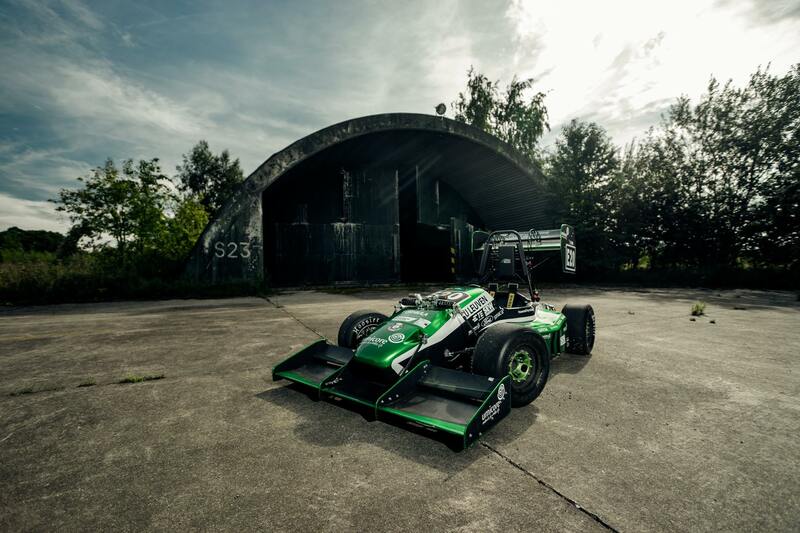 June is the third car developed by Formula Group T. This car features the first ever carbon fiber monocoque. Furthermore, the team produced a custom planetary gear box, focusing on making it as lightweight as possible and being able to reduce the weight of the transmission by 75%. This resulted in a significant weight loss of 30 kg compared to its predecessor Eve. 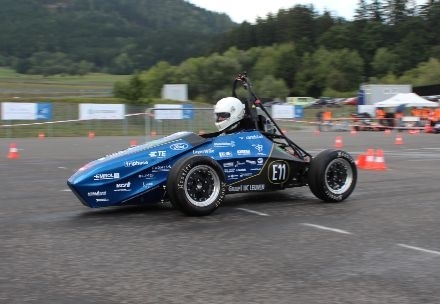 UTM II is the third car by Thomas More Innovation, It features a steel tubular spaceframe with flax fiber bodywork. 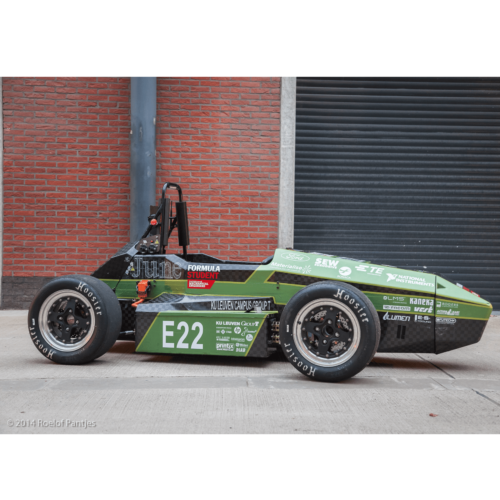 Eve is the second car developed by Formula Group T. The car had the same basic concept as the previous car, but introduced a wide variety of new systems, solutions and improvements. The innovations on the car include a new gearbox, titanium printed uprights, 3D-printed air intake duct and a carbon fiber battery casing. 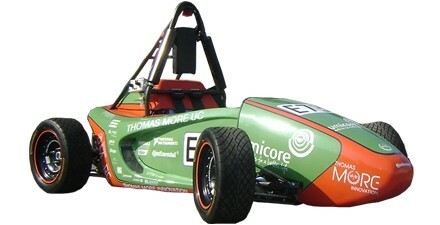 UTM I is the second car built by Thomas More Innovation, It was designed to be smaller and shorter than the previous one. The goal was to design a more ambitious car, with less room for error and tighter space to work with. The name Areion comes from Greek mythology, it is an immortal, strong and swift horse. Strong, swift and immortal are exactly those characteristics the team wanted to achieve with Areion. 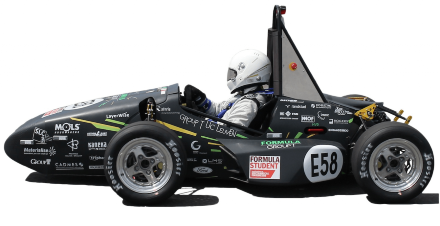 A fast, agile car which will set history in the future of Formula Group T.
The LRT 02 features a fully electric drivetrain, a steel tubular space frame design and a body of flax fiber.